Spartan Training Gear is honoured to announce a new corporate alliance with Richard Dimitri, one of the world’s leading authorities on hand-to-hand combat and creator of ‘The Shredder’, & Senshido International. In the months leading up to this announcement, Spartan has already had the pleasure of providing our Hoplite Training Armour to several Senshido team members such asChristopher Roberts of SAFE International, Matthew Dyck of MFTAC and Jesse Lawn Close Quarter Combatives. This is the first time in Senshido’s 15-year history that certified instructors and team members will have access to Combat Training Equipment that has been personally endorsed by Founder Richard Dimitri. This new partnership will also have huge benefits for Senshido affiliates worldwide.Active, certified and affiliate Senshido instructors will be receiving complete details on the program in the private Senshido forums shortly. We’d like to welcome all members of the Senshido community to The Spartan Army. We look forward to a long friendship and a prosperous relationship. Pauline Shea grapples with self-defence instructor Chris Roberts at a course in “preventative skills” aimed at seniors. It takes just a split second for 74-year-old Anne Lappin to kick into attack mode as the muscular man grabs her from behind. Her teeth are bared and she’s flailing so forcefully that he soon backs away. Then she steps forward to whack him one more time. The outburst has left self-defence instructor Chris Roberts shaking his head in shock. “You wouldn’t do that in real life, right, come back at an attacker like that?” he asks Lappin. After teaching self-defence to more than 100,000 high-school students over the past 16 years, Roberts, 46, is now taking on a completely different crowd: seniors. The instructor for SAFE International is offering what he calls the “preventative skills” of self-defence through a few community centres in Toronto. Although Roberts comes well protected — the final two weeks of the four-week sessions include a little physical interaction — the program is really more about using your brains rather than your brawn. He stresses avoidance strategies first to protect against potential attackers: walking with confidence, trusting your intuition, not being too polite and always being aware of what’s happening around you. The biggest mistake many seniors make is being too nice, says Roberts. Even if they feel unsafe in an elevator or wary of someone edging in too close for comfort, they tend to be too polite to ask the person to back off or walk away. In fact, seniors tend to downplay their own fears: One woman at a recent session in North Toronto confessed she knew she was taking a risk walking home through a back alley, but was more afraid of the alternative, the bustling crowds of Yonge St. who might knock her cane and throw her off her feet. Asking for directions or the time are popular ways to distract a senior because they tend to turn their back to show the way or put their head down to look at their watch, Roberts warns. Bank machines can also leave seniors vulnerable, he says. He advises women to withdraw only small amounts of cash, always during daylight and, if possible, when a friend is along. If the attack is simply about money or valuables, Roberts says it’s best just to hand them over rather than risk getting hurt. 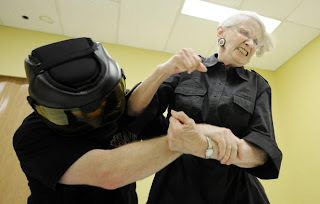 But he arms seniors with a few self-defence tricks, such as grabbing at soft-tissue areas (the eyes and face), to throw the attacker off and give you time to break away. Sherri Bulmer, coordinator of older adult programs at the Central Eglinton Community Centre on Eglinton Ave. E., asked Roberts to teach the program after seeing a senior seriously hurt by a purse snatcher outside an east-end centre where she used to work. She was surprised to see the group actually grow over the four weeks as the women — the average age was 77 — raved to friends about the program. 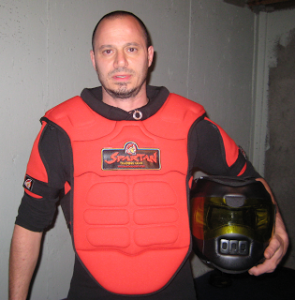 To ensure the safety of both instructors and students, SAFE International, exclusively uses the Hoplite Training Armour by Spartan Training Gear in all its classes and personal protection programs. 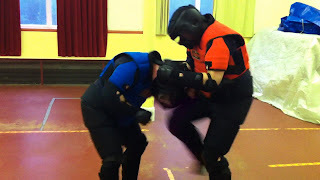 Hoplite Training Armour allows us introduce contact in a gradual, sensible and realistic way so that people can conduct those ‘personal experiments’ which are referred to by the SIT methodology. Incorporating equipment such as the Hoplite Training Armour allows us to drastically increase the intensity of our training sessions compared to what we could achieve without it. We can gradually build up the intensity of the confrontation experience for our trainees, while maintaining a low-risk training environment. Using our Hoplite Training Armour let’s us take the theoretical guesswork out of the training, SAFELY. Even where we work low-intensity training sessions, with for example trainees who will have only one day with us, we can begin to give them closer-to-real-life experience of what it feels like to make aggressive contact with another human being. This is something that many people have never experienced and which is deeply challenging for them. Phase One and Phase Two of the SIT approach provide excellent preparation for this phase, even given just a couple of hours with the trainees. 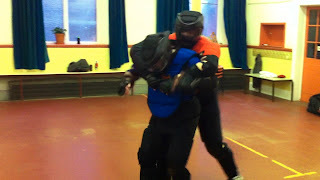 Incorporating contact during training, which the Hoplite Armour allows us to do, has significant benefits. It allows trainees who have never struck another person in anger, to do so for the first time. The trainee can then go on to experience that moment again, and again. Each time, she will ‘groove’ her response a little deeper, re-inforcing the decision she made, the tactical needs in the situation, the physical sensation of initiating a strike and the results it produced. She will also be ‘grooving over’ any residual doubt, hesitation, fear or panic which she may have brought to the situation. Specific to the Hoplite Armour, we can say with some authority that it allows the average person to use most of their capacity in delivering a strike to another person with a very high degree of safety for the person inside the armour. 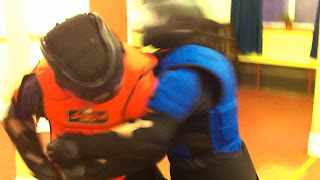 A full Hoplite suit covers the whole body and allows maximum movement potential in all three combative dimensions – standing, clinched or grounded. Training according to this SIT model benefits when the role-player inside the Armour can closely replicate the behaviours that will be seen in reality (‘training fidelity’ which I will address in a following article), including the pre-assault behaviours and in responding with realism when impacted by the other role-players in the exercise. Hoplite Armour in particular allows the role player to broadcast pre-assault behaviours and impact behaviours extremely well because it is a lightweight, low-bulk suit which transmits small tell-tale body-language which are being broadcast. This is highly important because our trainee needs to be able to react and respond to the earliest signs of confrontation (as shown by body language changes in the aggressive person) and also to the earliest cues of a physical assault when initiated. By experiencing the uncertain, spatially chaotic and rapidly-unfolding nature of high-speed scenario replication, the trainees become inoculated, to an appropriate degree relevant to the depth of their training, to it. This is particularly successful if they are guided and mentored through the exercises by an experienced trainer who can use coaching methods to motivate them to persevere. All Dynamis Training Courses incorporate these advanced concepts in training for confrontation management. 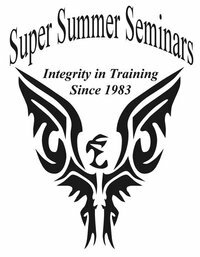 They will be running the BTEC Level 3 Self-Defence Instructor Accreditation course on July 27th – 29th, 2011. 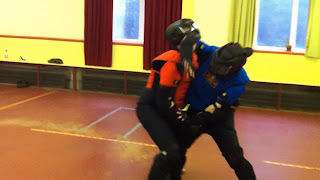 The course will provide progressive self-defence, breakaway and officer safety instructors of all kinds with a framework for teaching self-defence which is legally sound, risk-aware and has a basis in the science and psychology of inter-personal conflict as discussed here on theDynamis Insight Blog. Dynamis is the UK Authorised Dealer for Spartan Training Gear and the Hoplite Training Armour. Phase One of training has to do with having trainees confront their own understandings of the nature of conflict and how they deal with it. A trainer may provide some exercises for the trainees – ‘thought experiments’ – regarding some conflict scenarios and garner the trainee’s response to this. Commonly, for example, a trainer might ask the trainees how they would deal with a much stronger opponent, with tattoos and scars and who looks ‘hard’, in order to provoke a discussion about the nature of intimidation. During this phase the trainees have the opportunity to rehearse the coping/confronting skills, re-imagining the process of the confrontation from one with a negative outcome to one with a positive outcome – reversing the ‘prey’ role which can crystallise in high-stress moments. Trainees re-structure they way in which they approach the confrontation, using their internal dialogue and their internal associations differently now. Trainees develop, with time and opportunity, new problem-solving abilities which give them more options and alternatives during a confrontation – they begin, in short, to think more tactically about situations, because their level of stress-arousal is reducing as the problem becomes clearer and more familiar. Training people to deal with the stress of a violent confrontation can benefit from the methods used in some psychotherapy. This article deals with the use of Stress Inoculation Training to guide Self-Protection and Physical Intervention trainers in the development of robust training programmes which will be resilient in the face of intense confrontations. Stress Inoculation Training (SIT) emerged out of an attempt to integrate the research on the role of cognitive and affective factors in coping processes with the emerging technology of cognitive behavior modification (Meichenbaum, 1977). SIT has been employed to help individuals cope with the aftermath of exposure to stressful events and sometimes it has even been used on a preventative basis to “inoculate” individuals to future and ongoing stressors. In order to enhance individuals’ coping repertoires and to empower them to use already existing coping skills, the SIT model uses a three-phase approach. Regardless of the particular stressor which we are trying to prepare them to deal with, trainees are encouraged to view perceived threats and provocations as ‘problems-to-be-solved’ and to identify those aspects of some situations and their own reactions that are under their internal control and those aspects that are not under their control or influence. This is the first step in breaking-down a stressor which at first seems overwhelming. The clients are taught how to breakdown these ‘global stressors’ into specific short-term, intermediate and long-term coping goals. The trainees’ response to the stressor is re-packaged as being made-up of different components that have been identified and examined in detail. The trainee builds an understanding of each thing that needs to happen for the stressor to become overwhelming. High-stress situations tend to go through predictable phases and so the trainee who will be successful should go through a process of preparing, building up, confronting, and reflecting upon their reactions to stressors also. The second phase of SIT requires focus on skills acquisition and rehearsal and it follows naturally from the initial conceptualization phase which came before it. The coping or confronting skills that are taught and practiced in the training setting are then gradually rehearsed ‘in vivo’ and are tailored to the specific stressors trainees may have to deal with. The final phase of training and preparation provides opportunities for the clients to apply the variety of skills they have learned to deal with the problem across increasing levels of intensity. This is where the inoculation concept – as used in medical immunization – becomes evident. Techniques such as imagery and behavioral rehearsal, modeling, role playing, and graded in vivo exposure in the form of “personal experiments” are used during this phase to increase the trainees competence.